Cheers to another year! Our Personalized Birthday Margarita Favors are the perfect personalized addition to the celebration and are a beautiful balance between sweet and salty – Something that your guests are sure to love! 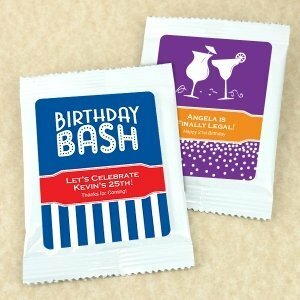 Each single serving of premium drink mix comes sealed in a beautiful white gloss pouch (4"w x 5.5"h). 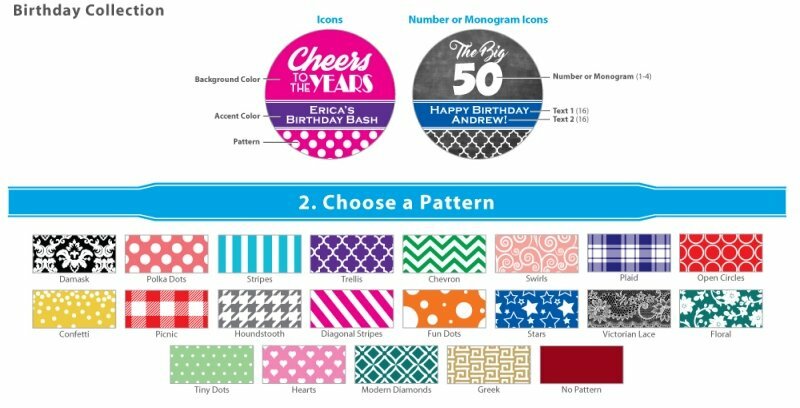 To personalize them, you can choose a fun pattern, a unique design icon, 2 coordinating colors, and 3 lines of text. Instructions are on the back on how to mix the pouch contents with other ingredients to form the perfect cocktail. 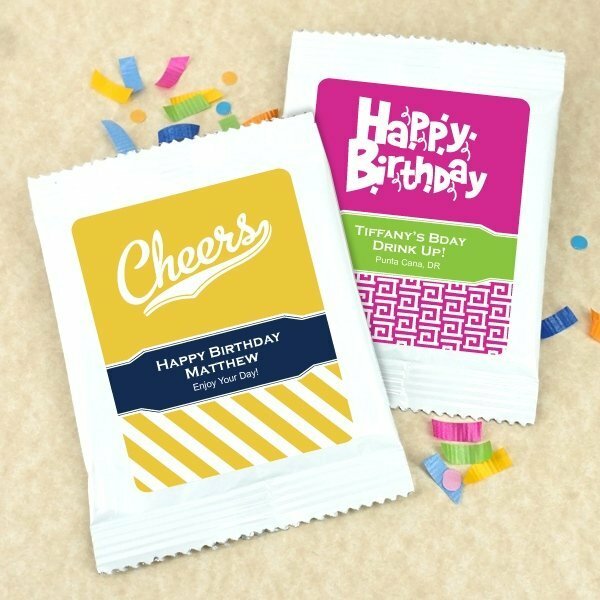 Note: For sample orders, you will not be able to specify personalization.